In the framework of CILAC 2018, and the Science Week in Panama, different events took place near to the Open Forum, organized by different institutions and with a wide variety of proposals. Most of the activities were carried out in the City of Knowledge, next to the hotel where the Forum took place, and had the participation of scientists, students and the general public with different interests.  The Global Young Academy, the American Association for the Advancement of Science, the United Nations University, The Big Van Theory, and the Columbus Association, among others, were some of the institutions that took their workshops and other proposals to CILAC. This workshop’s objective is to provide participants with a global vision of the importance of scientific communication and tools to start practicing it on their daily jobs. 17 OCT 13:00-18:00 hs. | 18-19 OCT 9:00-18:00 hs. The course will emphasize the connection between national challenges, global challenges and the boundaries between the different areas of knowledge and the various levels of intervention of scientific diplomacy and their contributions to the interface between science and policy development. 20 OCT 13:30-18:00 hs. | 21 OCT 9:00-18:00 hs. This 1.5-day workshop leading up to the conference is designed to help young scientists take a more committed leadership. Applications must be sent to info@globalyoungacademy.net before Sep 16th. This presentation of the Ebook “The mathematics of the daily: stories, connections and curiosities”, (2016 Editorial Technology) is proposed as a strategy to promote two of the Sustainable Development Goals. Participatory workshops that use the pedagogical tools from the performing arts, in which the attendees should work on a proposed activity to generate their own results. The goal of this parallel event is to discuss and promote concrete actions on how is open science a form of promoting the 4th Sustainable Development Goal (SDG) “Quality Education” from the 2030 Agenda. It will convene composers, performers and amateur or professional musicians to present songs in Spanish with three to five minutes of duration in any musical genre, that promote the action of science in the face of the challenges of the 2030 agenda. Fuckup Nights is a global movement and event series that shares stories of professional failure. The stories of the business that crashes and burns, the partnership deal that goes sour, the product that has to be recalled, we tell them all. Brief introduction to sustainable development, with special emphasis on the role of science and education. We will carry out an exercise of familiarization with the SDOs in which the participants will have the opportunity to relate to each other and from their work with the Global Challenges. The workshop will be an opportunity to learn about the individual goals behind each SDG, link them with the planetary boundaries and, finally, identify the connections and interdependence among all the SDGs. We will work in small groups to facilitate the exchange. This activity aims to generate a discussion and debate that enrichens and supports the national compromise for education. In this event, the ethical problems derived from scientific research will be analyzed to define the minimum ethical requirements of the same. In this event the participants are invited to reflect on the ethical challenges that science has, in perspective with the importance of knowledge to comply with the 2030 agenda. Perhaps the most suggestive questions that current science has raised, since we are not with us, we are directed to the fundamental themes of modern science that were addressed during the workshop: the origin of the universe, the emergence of life, as a way of the brain and the death process. The Origin & End event will present 5 thematic talks: the origin of the universe (Madeleine Rojas), the evolution of life (Sabrina Amador), the evolution of the brain (Diego Reginensi) and death as well as the biological and cultural process (Yila de la Guard / Guillermina De Gracia). This meeting provides policy makers of science and technology in Latin American countries with a discussion space on the inclusion of the gender dimension in the design and implementation of policy instruments, particularly those related to the financing of science. and the investigation. The main objective of the meeting is to present ideas and good practices in the area, facilitating exchange among countries and promoting initiatives both national and regional impact. 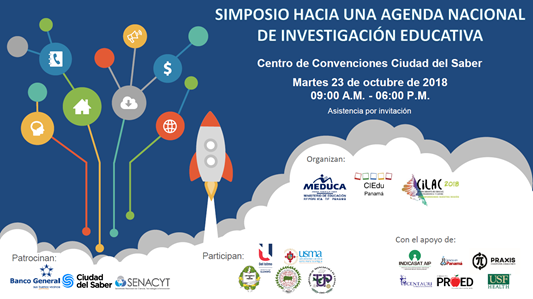 The meeting aims to promote the improvement of education and learning of science in Panama, and share and collect information and evidence solid for the deepening of the analysis of Results of the Fourth Regional Study Comparative and Explanatory (ERCE-2019). The purpose of this conference is to raise awareness of the reality of human rights throughout the region and to create a space for conversation with opinion-generating actors on the growing challenges regarding the promotion and protection of human rights in Latin America and the Caribbean. This workshop offers to researchers and managers of research systems, inputs to evaluate the scope of research data management in the Open Science model and establish the conditions that allow developing and consolidating the initial strategies of the Region. The objective of the workshop is for young people to analyze issues such as the recovery of memory and access to information in public or private archives, so that they become aware of how they can become agents of change to help vulnerable groups in society to adapt to emergency situations. It is proposed to carry out workshops where 30 people participate making paintings with motivational words from Panamanian poets to inspire participants. All materials, from canvases and brushes are made out of recycled materials. World Geoparksin education, geological heritage and sustainable development, taking into account the importance of knowledge for the fulfillment of the 2030 agenda. Two scientists from the region will be invited to participate, who will reflect on scientific information, its protection, use, dissemination and its relationship with the concept of sustainable cities. It will also be attended by three experts from the UNESCO Regional Committee for Latin America and the Caribbean of Memory of the World. Workshop for the development of capacities related to scientific advice and the Sustainable Development Goals. It is designed for scientists and policy-making professionals that live or work in Central America. This workshop will help improve your ability for providing scientific advice in the policy-making process at all levels of government.